Sometimes a city finds a way to speak to you. 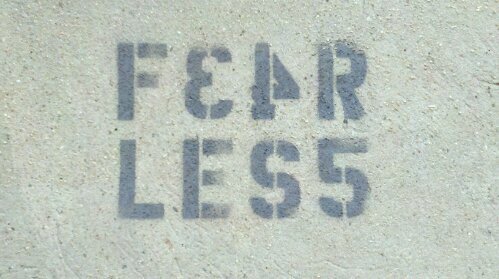 I spotted this “F34R LES5” stencil a few times in NYC the other week, mainly in Brooklyn. 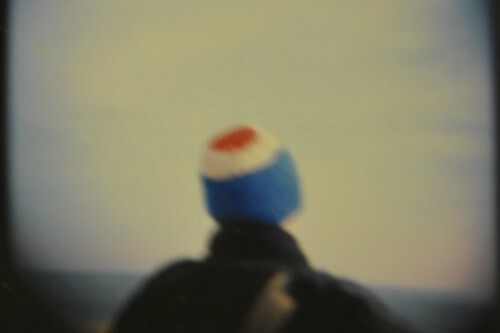 This is a photo of my friend Karsten Sawade, taken around seven or eight years ago in Brighton Beach, Brooklyn. Originally shot on a Lomo Lubitel, I in turn photographed the contact sheet with a Nikon D90 using the 18-105 kit lens. Pretty lo-fi. The photo was originally developed by Sabine Scheckel after the three of us went on a photo safari to Coney Island after a snowstorm. This was my favorite shot from the whole day, at least out of the photos taken by me. 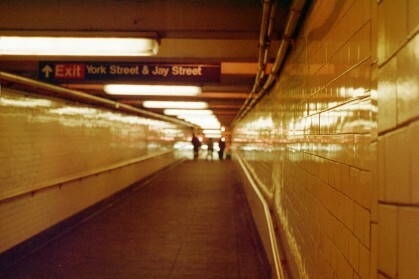 I took this photo in the York Street subway station on the way to work. I would later work for Lomographic Society International, whose US office was (and is) based in DUMBO, and ended up taking loads of pics in this station. My York Street photos always turned out as if shot in 1977. This was taken in October 2001, most likely shot on expired ASA100 film. Waiting for the F-Train, a popular pastime is playing Count the Rats.